Walking out the door and away from an abuser—or kicking an abusive partner out the door, if so inclined—is seldom as easy as it sounds. Abusers thrive on power and control, and having their victim leave them is the ultimate loss of control. Hence, abusers will often make it as difficult as possible for survivors to extricate themselves. But, it is possible. Leaving an abuser can be the most empowering—and life-saving—decision a survivor can make for themselves and any children involved. When you're ready, the key to leaving safely is preparation, and that starts with a safety plan. 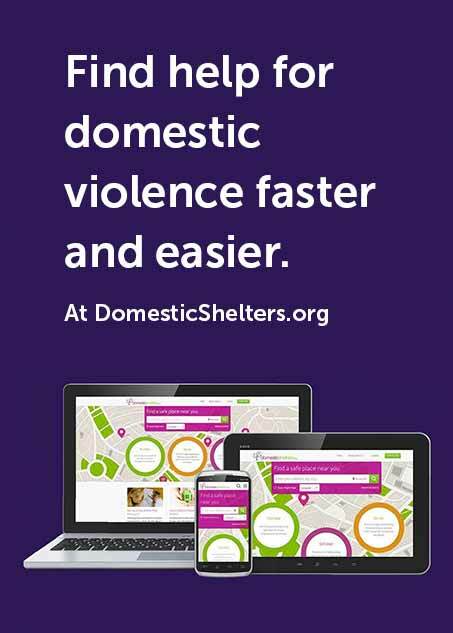 It's best to create a safety plan, customized to your unique situation, with the help of a trained domestic violence advocate. Their expertise and know-how will help you leave a dangerous situation in the most calculated and smart way possible. An advocate will help you locate resources in your area, including shelters, counseling, lay legal advice, court assistance and support groups. Creating a safety plan includes figuring out when to leave, where you're going to go, what you'll take and how to keep these details private from your abuser. These decisions are yours and yours alone to make, as the survivor. Only you can say when is the safest time to leave and only you know where you will feel safest to go to. For some women, this may be a shelter temporarily, while they secure a more permanant living situation. Some survivors leave with only the clothes on their back while others are able to pack a bag ahead of time that they can easily locate, retrieve and take with them when they're ready to escape. WomensLaw.org suggests the following things be included in that bag, but keep in mind, not all of these suggestions will be feasible for everyone and some may even put a survivor in greater danger. Do what you think is best to keep yourself and your children safe. Credit cards and some cash—enough for transportation, food and lodging for a few days. Your abuser may cancel your credit cards or try to track you through your credit card use. Keep your getaway bag in a place where the abuser cannot find it, such as at a trusted friend’s or neighbor’s house. Also, hide an extra set of car keys somewhere that you can easily access, in case the abuser takes the car keys to prevent you from leaving. If you have pets, take them with you when possible, or think about someone you trust who could take them before or when you leave. Read more about how to protect your furry family members in " Planning for Pet Safety." Part II of this article talks about the steps to consider next in your safety plan. Do You Feel Trapped by Your Faith? Thinking About Going to a Shelter?